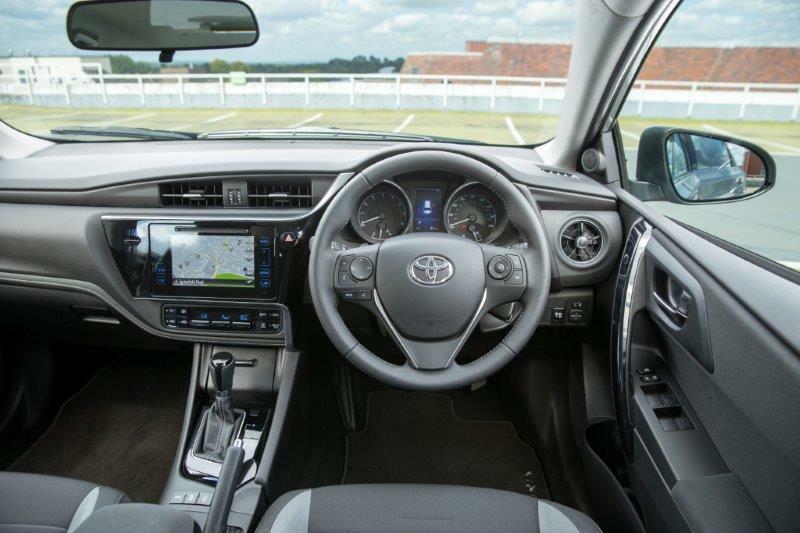 Home » Blog » Cars » Comments » Critique » Featured Articles » Travel » UK » Gareth Butterfield spends a week in the new British-built Toyota Auris, and finds there’s much for the UK to be proud of from this pretty newcomer. The Auris has arrived and it’s the first time I’ve had chance to properly look round one and see its swoopy new angles close-up. Is it just me, or is Toyota making some exceptionally beautiful cars at the moment? The last Auris was a huge improvement over the first Auris and I can’t see, on paper at least, that this one moves the game on very far, but it is astonishingly pretty. Toyota’s current design direction has taken me by surprise in the way Vauxhall did a few years ago. All of a sudden some of the finest curves in the mainstream car market started emerging from Luton and it was the start of a glorious phase of very beautiful models which has, unfortunately, come to a sudden stop if the last few launches are anything to go by. Yet here, sat before me, is Toyota’s latest answer to the busy hatchback sector and I’m struggling to think of any other car of this type and price that is quite so striking to look at. As I said, it’s not a massive leap forward from the design of the last Auris – which was by no means an ugly duckling – but the designers have tightened its features up and made it look fresher and sharper. It’s actually quite futuristic. And that’s true of the interior, too. 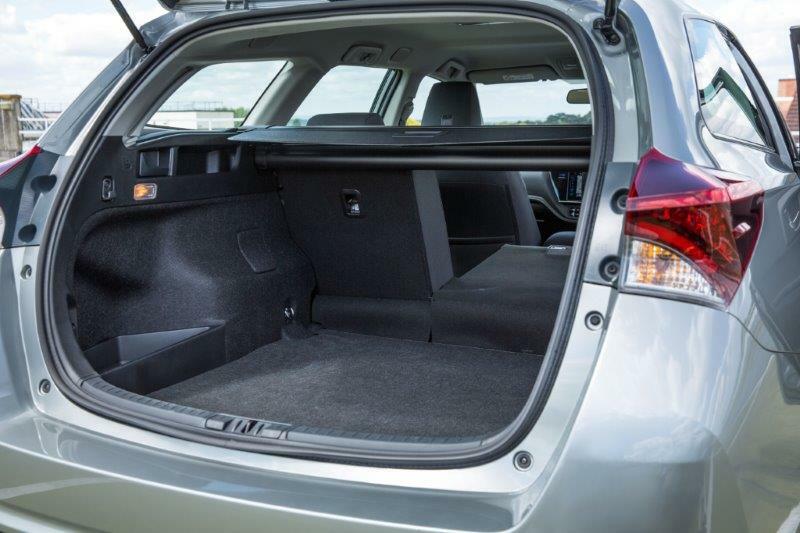 It’s not exactly a quantam leap over the last Auris interior, but I wasn’t keen on the last one. It looked and felt a bit cheap. In this one, without resculpting it to any great extent, Toyota has made it feel much nicer. There’s more than a faint whiff of Lexus about it now. A few shiny bits and some illuminated buttons have worked wonders. My first journey in the new Auris is a rather mundane trip to work and, often, when I’m getting to know an updated model, it’s a case of playing “spot the difference” to pass the time, but as well as visual tweaks, the Auris feels different somehow. It’s not hard to tell this is a new model, even on my routine A-to-B. 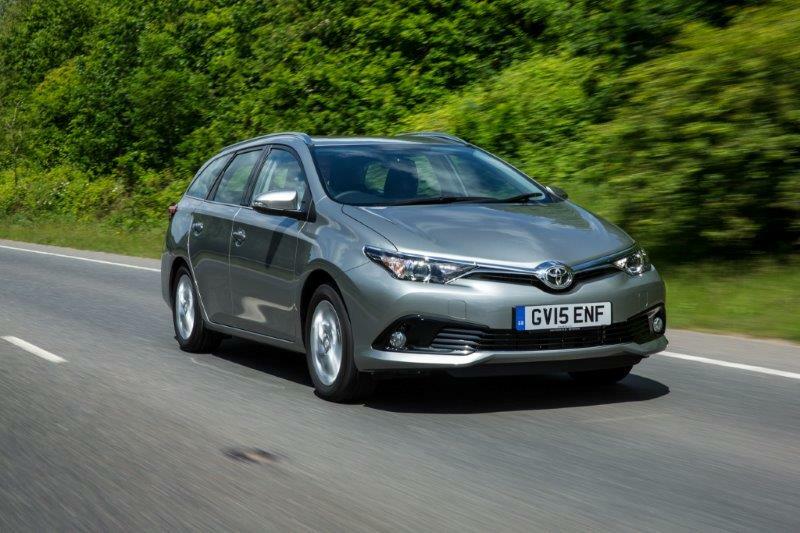 The new version comes with a new pair of engines to underpin the range – a sprightlier petrol and a BMW-sourced diesel engine, but I’m in the hybrid this week and it’s good to see the now very familiar Toyota system is continuing to improve. It feels more powerful, somehow. More polished and more able to propel the car on electric mode. 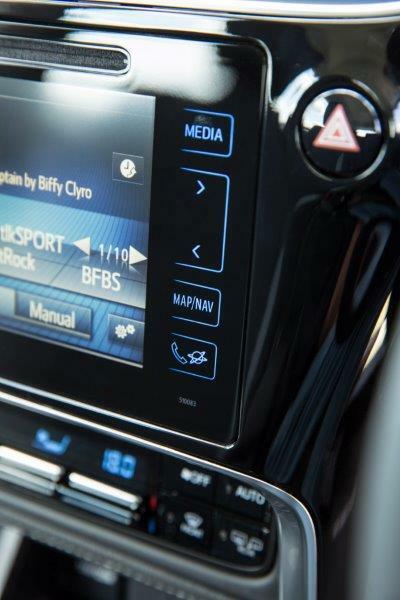 I also drove the new Yaris this year and don’t remember the hyrbid system in that being quite so impressive. 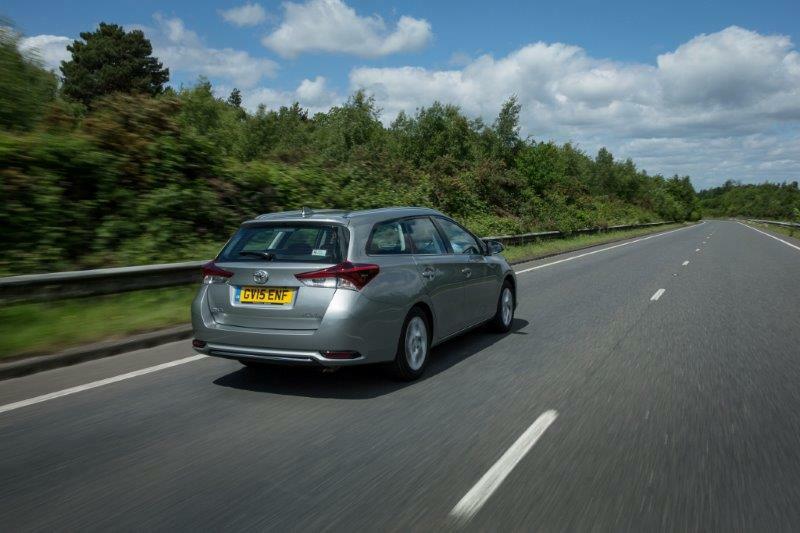 Toyota says it has “tweaked” the hybid powertrain in the new Auris to be more economical and deliver lower CO2 emissions, but I actually think this is one of the best hybrid setups I’ve driven. Today we’re taking the in-laws out for a posh meal and it’s my turn to drive. Father-in-law is a car-person so he’s intrigued and critical in a clued-up way about the cars I bring home. Mother-in-law is also fairly easy to read. I tend to weigh up her thoughts on cars based on how angry she gets about them. Neither of them seem to have a bad word to say about the new Auris, which is interesting. 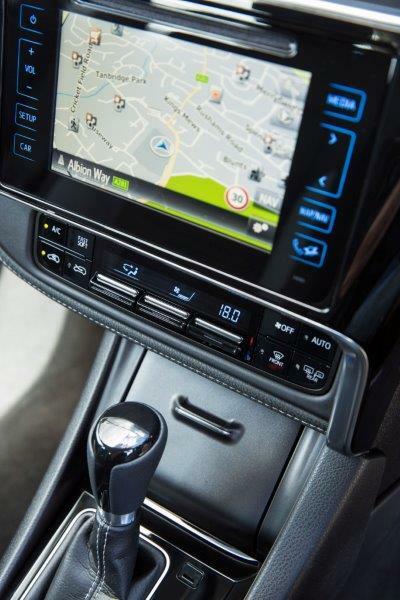 Mother-in-law makes some half-arsed attempt at convincing me the panoramic glass roofs appearing in new cars are a part of conspiracy by manufacturers to charge you more money, while Father-in-law fiddles with the dual-zone climate control until we’re all fighting off frostbite. As I creep silently through the pub car park in search of a space everyone gets angry at me for jerking the car around and braking sharply. It’s sort of not my fault though. Many electric cars have a regenerative braking system which makes the pedal feel really snappy. And, for some reason, I’m finding this one particularly hard to get used to. I’ve just realised, however, that’s about the only thing I’ve found to dislike so far. It’s quiet, comfortable, spacious and very attractive. I genuinely didn’t expect to like it so much. Another trip out with the in-laws and I’ve been asked to drive again. That can be read as a significant nod of approval for the Auris. If they didn’t like it, they’d have been boycotting it and I’d have been in the back seat of their archaic Mondeo. We’ve got to bring some luggage with us this time, and grab some shopping on the way back so I’m thankful Toyota has sent me the Auris Touring Sports this week, which is the “estate” version of the car. In all honesty, it’s not that much bigger than the hatchback, but the extra length makes for a bigger luggage space and that’s welcome when you’ve got a lot to squeeze in. In fact, for a compact estate, this is a really decent size. Rear seat passengers come out worse overall, but I’ve had no complaints from the ladies what lunch behind me and I’m impressed by the boot. It’s a decent bit of packaging. I’m free from the shackles of my extended family so it’s time to throw the Auris around a bit. Cards on the table, it’s far from exciting. It does feel quicker than its predecessor, but it’s still not a sporty car. In fact, it’s a bit limp-wristed in the bends and has a tendency to roll a bit too much. This, allied to the fact it’s got Toyota’s horrid CVT gearbox which moves up and down a variable ratio instead of finding fixed gears, and it’s a particularly uninvolving and dull drive. That said, on the flipside, I’ve averaged 62.3mpg while dragging my in-laws about for the last few days. OK, I’ve had to drive the world’s most critical passengers very sedately, but it’s still impressive. Toyota wasn’t wrong, it’s definitely more economical. Now I’ve stopped trying to have fun in the new Auris I’m starting to really like it again. Although its official name is Toyota Auris Touring Sports, I think the “sports” aspect of that moniker is used in the same context as the “sports” in “Sports Utility Vehicle”. It’s basically a stupid, out of place word thrown in by a marketing man somewhere along the line. But, not everyone wants a sporty car. As it happens, I don’t today, either. I’m stuck behind a tipper-lorry on a long stretch of dark and dismal rural A-road so I want something comfortable, safe, economical and easy to live with. And the Auris fills that brief perfectly. If you want something sporty, get a Ford Focus. I like the Ford Focus very much but, right now, I’m happier in the Auris. And I think that’d be true of plenty of occasions. The Auris has really surprised me. I think, after failing to love the last one, I was expecting a facelifted facisimilie of a damp squib but Toyota has concentrated on changing everything that needed to be changed in the old model and has, quite effortlessly, created a polished and appealing car. While this probably suggests I was a bit unfair on the predecessor – the changes to the new one are fairly restrained when you actually sit back and study them – it really has made a difference overall. After all, here’s a car that I was happy and comfortable to drive round in for a week which managed more than 60mpg, has plenty of space, is un-necessarily attractive and – here’s the icing on the cake – is built in Derby. More fool me for not having noticed this before, but the new Auris really does have a lot going for it.